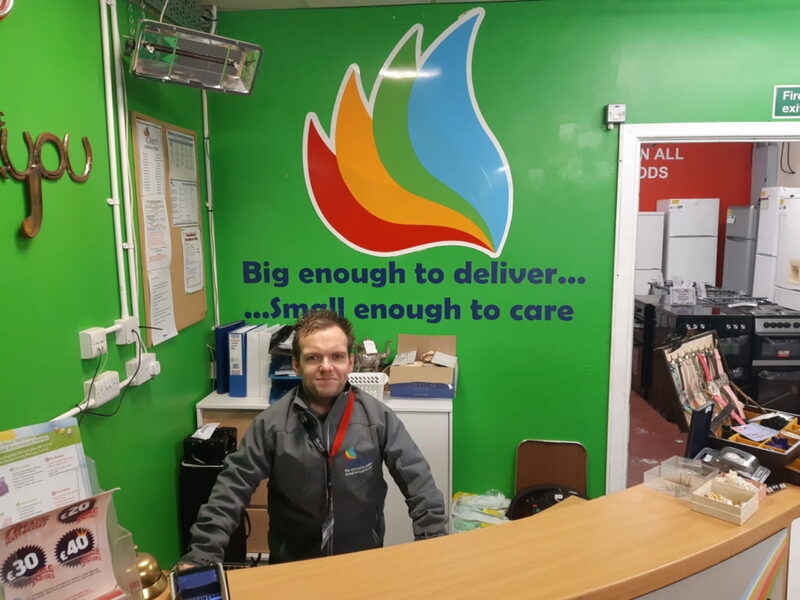 Steve Pugh joined Crest Co-operative in November 2018 and was using his experience as Retail Support, helping out in our two shops. 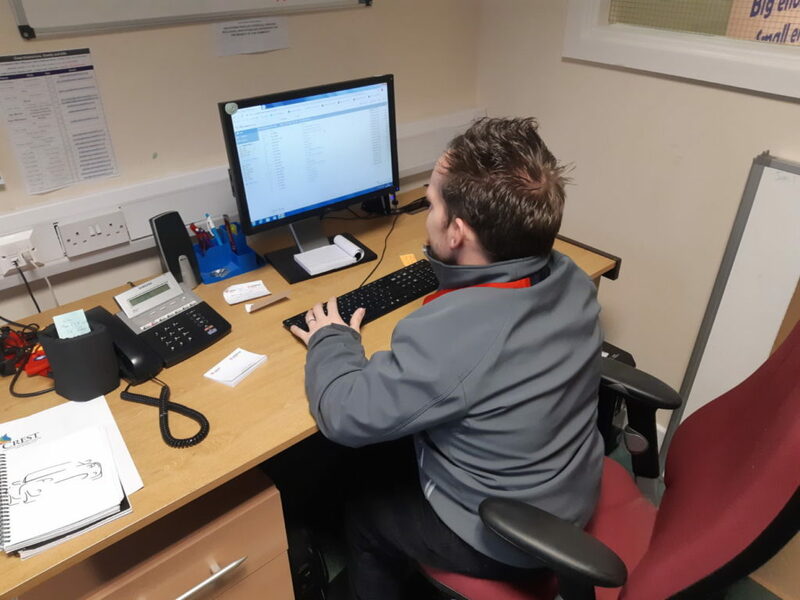 In April he’ll be using his skills in his new role five days a week as Training and Sales Co-ordinator where he’ll be enhancing each department through training the staff and volunteers by giving them bespoke training, support and guidance to help take Crest to the next level while also working closely with the General Operations Manager. Here’s what he has to say about working at Crest and here’s a chance to get to know more about the man behind the job! I’m Steve, I’ve been in the retail industry for over 13 years. I’ve been married for nearly two years, I’m a huge Formula 1 fan and watch it religiously. I enjoy various types of music and spend a lot of time with my family. What’s a general day at Crest for you and how long have you worked here?? I’ve been here for four months – the beauty of working at Crest is that there’s no such things as a general day, every day is different! I come in, check my emails and let the day begin from there, see which area of the organisation needs my attention the most and prioritise my workload from there. What are your work experiences and background? I started my career back at Crest many years ago actually on an ILM project around 14 years ago. I then worked for Debenhams for a while before moving to Peacocks. After that I spent some time in the mobile phone industry working for 3 Mobile and Carphone Warehouse. After that I moved to CarpetRight but after a while I fancied a new dynamic and challenge and Crest has offered me that opportunity. My hope is to use my training skills and abilities to help Crest and to work with a completely different type of customer all together. It’s a great challenge. My spare time is mainly spent with my family, I love eating out a lot and my entire Instagram is full of food from local restaurants (Editor: hashtag foodie!). Formula 1 as I said is a big passion of mine, and I also support Manchester United. But I love spending time with my wife, family and close friends. (laughs) I don’t know if I can! A lot of the stories I know I can’t repeat! The best I can say is when I worked for Carphone Warehouse I had a gentleman tell me that his phone kept ringing in the middle of the night and if I could have a look at it and see if I could tell him who was ringing. The next day he brought in a corded phone, complete with landline and cables! That was a weird day! And finally, what do you know about Crest and what do you hope to achieve in your time here? We have a lot of exciting plans coming up regarding training. Crest itself has a lot of exciting things happening regarding redevelopment. For me, being a part of that is huge and I want to see this organisation grow organically in the right way and support everyone in the right way. We want to keep our name out there as much as I can. It’s a very exciting time at Crest right now. Thanks for your time Steve and thanks for reading!